Fashion Blog - Spring S'well Bottles have Arrived at Details! Spring S'well Bottles have Arrived at Details! 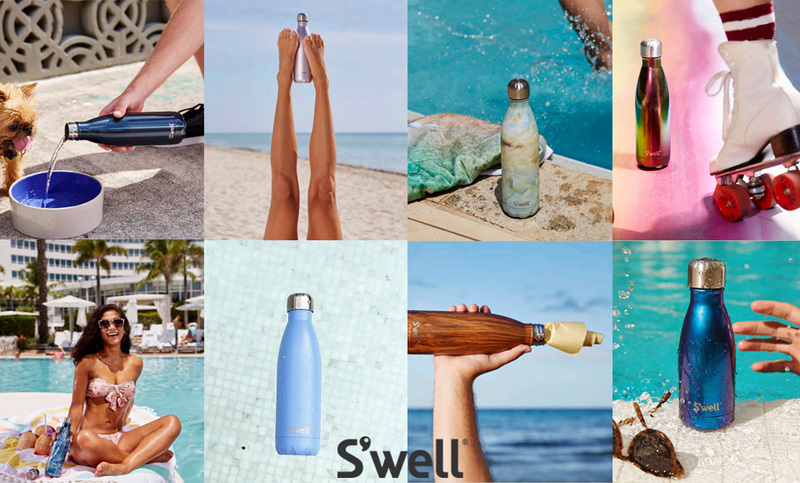 We are more excited than ever to announce that the Spring S'well Bottle collection has arrived at Details and they are more stunning than ever! We are head over heels for the new irridescent bottles in Neptune and Super Nova and have fallen in love with the new Granite collection! Still in stock is the Teakwood and other solid favorites! They arrived just in time for valentines day, give the gift of nourishment to a loved one by providing a stunning vessel to keep them hydrated or caffinated all day! This non-leaching and non-toxic stainless steel thermos keeps beverages cold for 24 hours and hot for 12! It's no joke, we all keep one in hand here at Details! S'well is also a charitable community member who has partnered with Unicef, Drink Up and American Forests, so this is a gift that gives a long way! Check it out in stores and online now, these most wanted bottles will sell fast!